Look chic, stay cool in one of these 14 Vests To buy now. 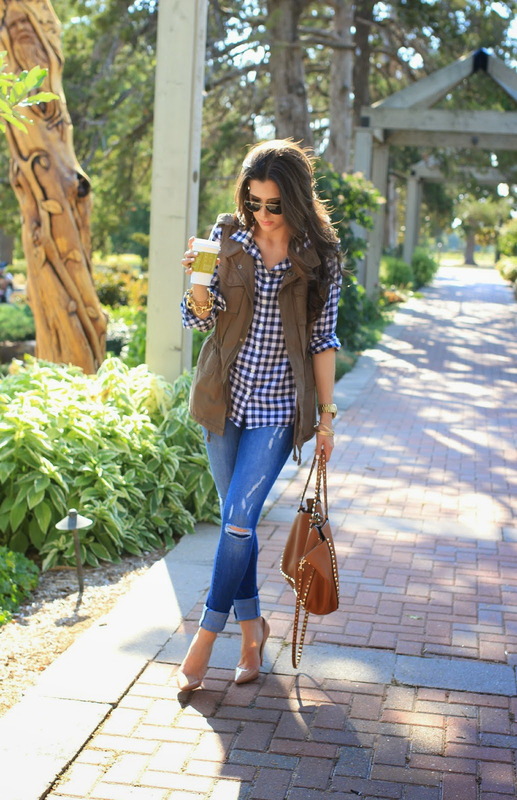 The vest is an ideal garment to go from summer to fall. Thanks to this cozy cover-up you can wear your beautiful summer frocks for a bit longer. It's a transitional piece that keeps you warm when the weather starts to get chilly. This i an ideal choice for wearing from the streets to work (of course, everything depends on the style). If it's not feeling like you already need to wear your big coat, then I highly recommend to see some of the best options how you can wear each one of these stylish outerwear designs. You can wear fabulous looking sleeveless gilet vest during your walks in the town, simply add cool gingham/ checkered shirt, aviator sunglasses, washed jeans and cool running shoes. If you want yourself a posh and sophisticated look, then I recommend to try on tuxedo type vest what will surely add structure and edge to any look. Go for this black elongated version and pair it with khaki silken shirt tucked in black leather shorts. Complete the outfit by adding dark grey spacious handbag. There are so many interesting styles to try this year. We see fabulous puffer options, cropped versions, denim made, tuxedo tailored ones, etc. It's an easiest way to elevate your outfit to style star status. Personally, I like denim and cargo vests, what are great for casual occasions and simple walks down the beach and city streets. Just layer them over your favorite sweatshirt to stay cozy in chilly fall days. For the office, try white or black classic tailored tuxedo vests. The blazer vest is an easy and stylish way to add oomph to your one and only work outfit (you can wear it atop blouse tucked in tailored shorts, or atop dress). The same tailored vest can be worn at night, by simply adding a statement necklace and eye-catchy earrings. 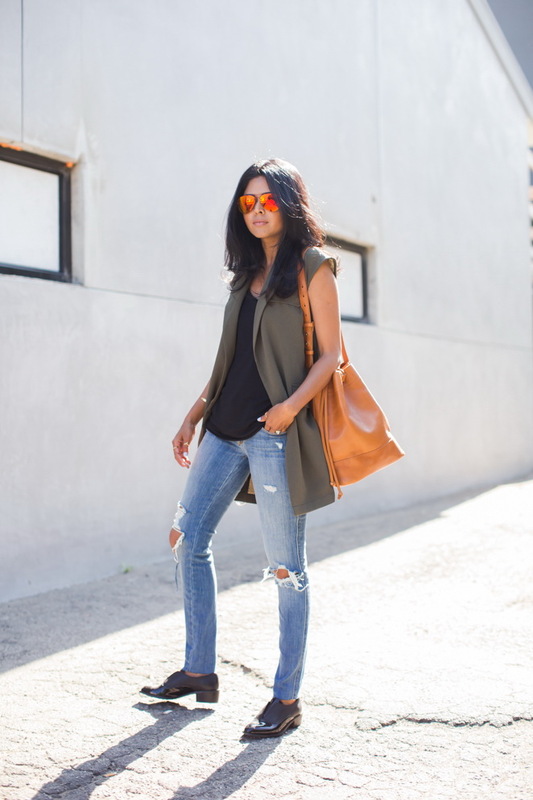 Scroll down this gallery to see 14 awesome vests to wear right now.